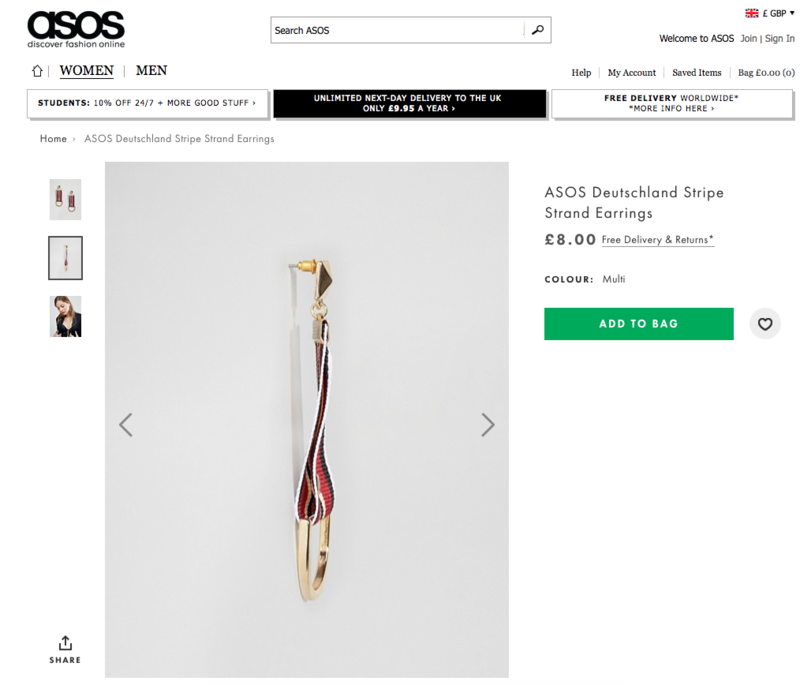 ASOS bring out new earrings, for when you're both meanings of the word "fash"
ASOS have brought out new earrings for when you're both meanings of the word "fash". 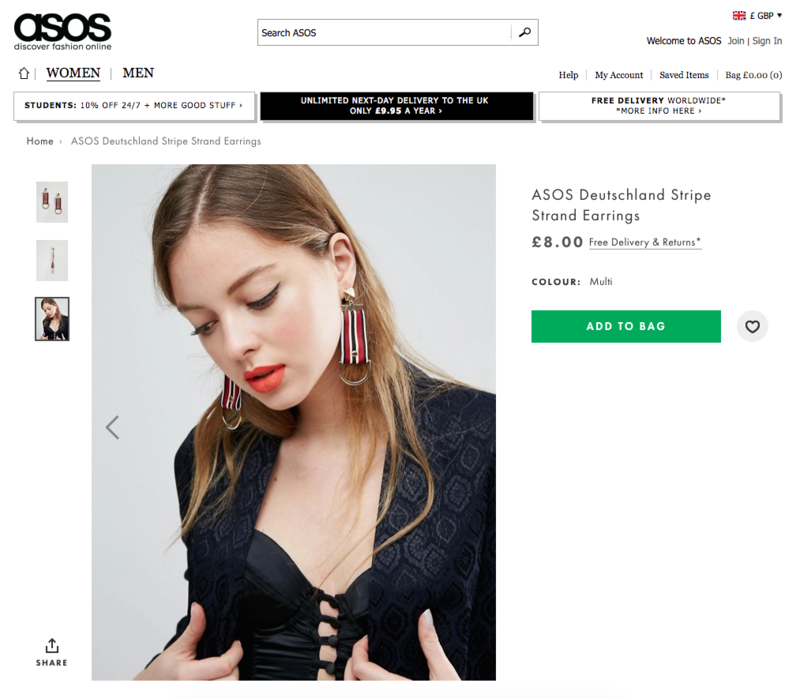 Online fashion retailer As Seen On Screen (ASOS) are currently selling "ASOS Deutschland Stripe Strand Earrings". The title by itself doesn't sound that bad. Could just be the German flag, with a name like that, you're thinking. But people have been suggesting that these particular earrings might appeal to people with interests in both kinds of "fash". 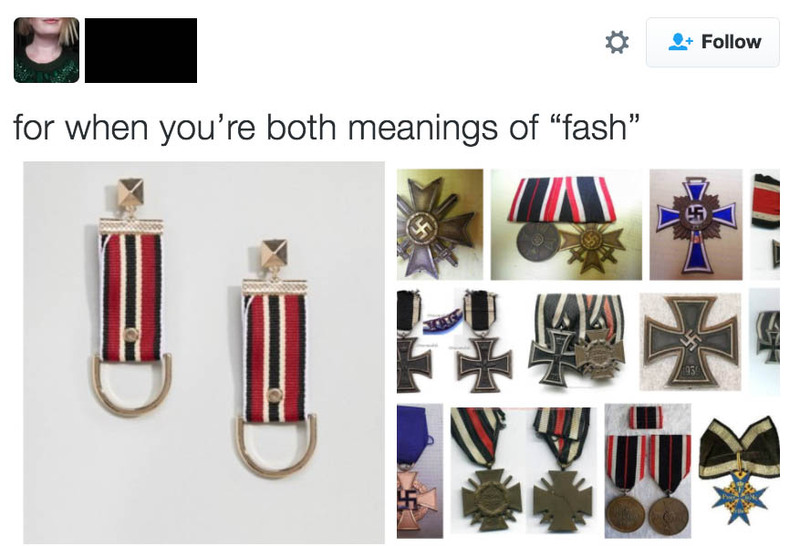 Whilst they're at least not called Fatherland earrings or Sie Führerdanglers, they do bear quite a striking resemblance to old Nazi war medals, according to ASOS shoppers who have seen them. For just £8, postage included, you can buy these on the ASOS website. Let's hope this isn't a look that's coming back.